My friendship card for the month of January was created for Robyn. 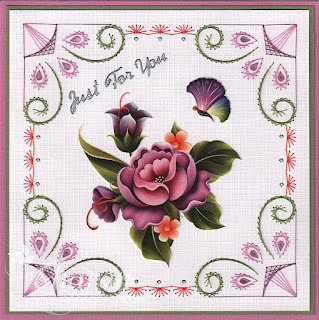 The pattern is by Sjaak 2016-008 and is available from Ann's Paper Art webshop. Dies by Sue Wilson CED7105 & CED6412. Cosmic Shimmer Gilding Flakes, Autumn Leaves. apprehensive about using them, to my surprise they were very easy. A beautiful background within minutes. It was quite a hot weekend here in QLD thankfully today is a bit cooler. I do hope that everyone has a wonderful week. Happy New Year, I hope that 2017 is a very crafty year for you all. A new pattern by Ann's Paper Art a122 to start the year off. Threads are Mettler Polysheen 1301, 2732, 2810, 5833. 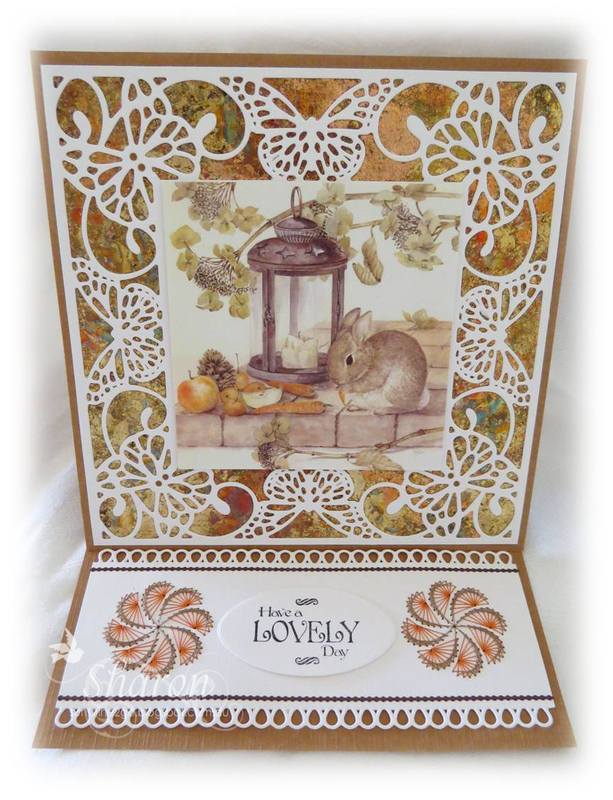 Decoupage by Ann's Paper Art "Enchanted Garden" CE13011. Hobbydots and stickers have also been added. At the moment it is very damp here on the Sunshine Coast. I am sure that Summer will return shortly. 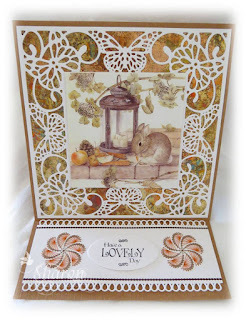 Wishing you all a very crafty week.